What happens when you try to fake a "real Christmas"? 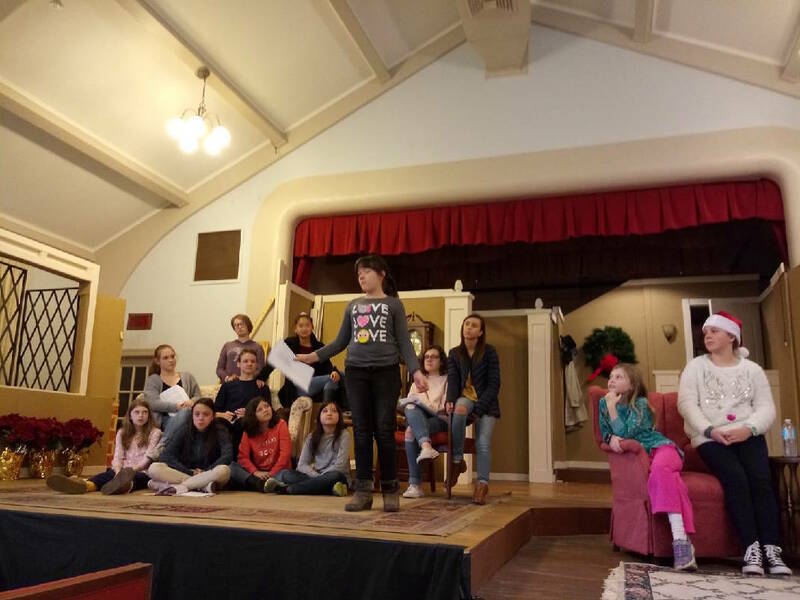 That's the premise of "The Rented Christmas," which will be presented by Yellow Dragon Productions in four performances this weekend. Shows are set for 7 p.m. Thursday-Saturday, Dec. 6-8; and 2:30 p.m. Sunday, Dec. 9, at St. Luke United Methodist Church, 3210 Social Circle. "The Rented Christmas" is by Norman C. Ahern Jr. and Yvonne Ahern, based on the short story by J. Lillian Vandervere. The youth production is directed by Joel D. Scribner. In the story, John Dale hasn't enjoyed a "real Christmas" for years. So, on the spur of the moment, he decides to rent a Christmas from Anne Weston, who owns the local rent shop. Anne is at first flustered with the requirements: a tree with presents, Christmas carols and also a wife and five children. She feels she has solved the problem of a Christmas family by calling the actors guild. But the young actors come down with the measles, so she turns to the local orphanage. When the guild can't locate a mother, Anne steps in to play the role herself. The story of how John Dale's rented Christmas turns into a new life for all concerned makes this a warm story for the holiday season.